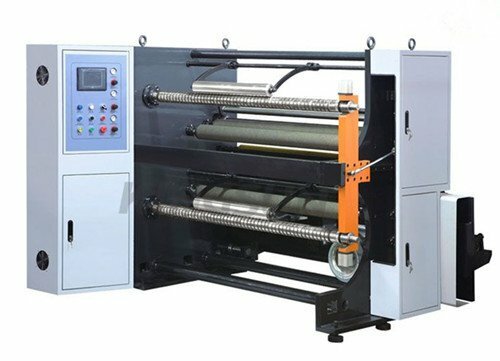 Home/Thermal Paper/How Are Thermal Paper Rolls Produced? Every time you buy a drink in a 7-Eleven convenience store, go shopping in the mall, or withdraw some cash from an ATM, you will get a receipt slip. That receipt slip is actually made from thermal paper. A busy supermarket uses approximately 50 pieces of 80mm x 80mm thermal paper rolls every day! When the rolls are used out, they will order from you again. The most beautiful part of paper roll business is “consumption”. Consumption can make constant profit and cash flow for you. Production of thermal rolls has long been seen as a small manufacturing business, but the fact is, the thermal roll business is very lucrative and will enable you to acquire your return on investment quickly and easily. In this article, we will show you how to produce the thermal rolls. 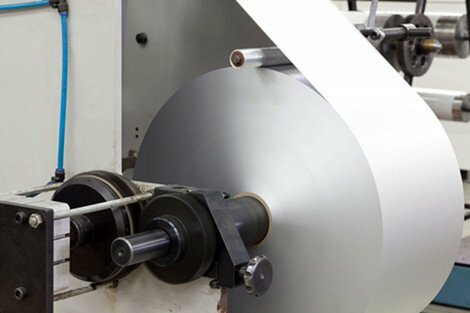 The principle is simple: use the slitting & rewinding machine to cut the jumbo paper rolls into the small thermal roll sizes you want. Choose the correct jumbo roll sizes according to the small roll sizes you want (for example, if you want to produce 80mm width thermal roll, you can use the 405mm, 558mm, or 636mm width jumbo roll. 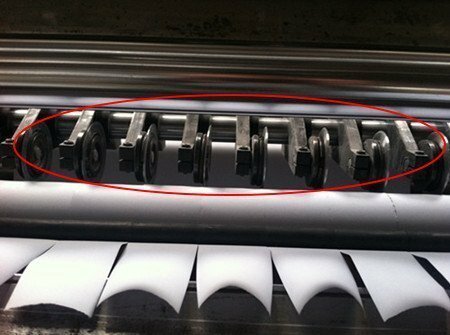 If you want to produce 57mm width thermal roll size, you need to use a 565mm jumbo roll. Yes, make sure the jumbo roll size and small roll size are divided exactly). The famous thermal paper brands are Koehler (Germany), Hansol (South Korea), Appvion (American), OJI (Japan), and APP (Indonesia). 2. Adjusting the Blade: In this step, we will adjust the blade distance to be 79mm. Please note the distance should be exactly 79mm, not 80mm since the actual roll size is smaller than the marked size. For example, if you have an Epson printer that uses 80mm rolls, then your actual roll width will be 79mm to make sure the rolls run smoothly through the mechanism. 3. 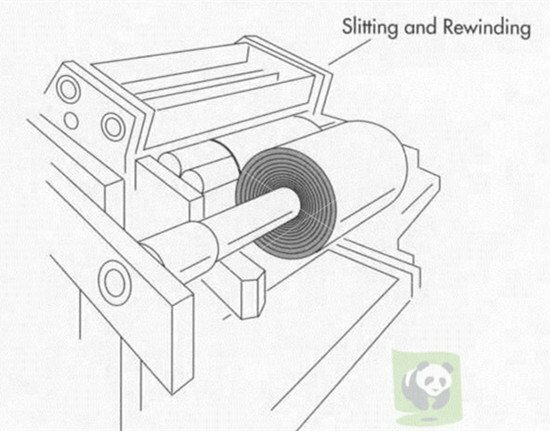 Turn on the Slitting Machine: Be sure the jumbo roll is stable in the shaft, and then you can start the engine. The machine will automatically cut the 405mm jumbo roll into 5 separate 79mm pieces. Keep an eye on the digital counter to monitor the length of the rolls. When it approaches 75m, slow down the machine speed since the rolls will be nearly 80mm in diameter. All these operations should be handled by experienced workers. So in theory, it is very simple to manufacture thermal paper rolls. However there are many more details that must be closely monitored and controlled, and this requires time and experienced personnel. From my past 10 years experience, my advice is: If you have serious paper roll buyers, import the small finished rolls from us and sell to them. Rather than manufacturing the rolls by yourself, since it is a super complicated project you cannot imagine. If you want to get more useful knowledge about producing thermal paper rolls, you can contact us by email at support@pandapaperroll.com. We will be glad to share with you more useful information. I am read ur given informetion of roll buesiness. I am interested to start small business of thermal paper roll trading in Mumbai. Please advise me how to proceed. Further. I am interested to start small business of thermal paper roll manufacturing . Please advise me how to proceed. Further. I want to know details about it.that small is used in departmwnt store.shoping mall.atm machine,etc.